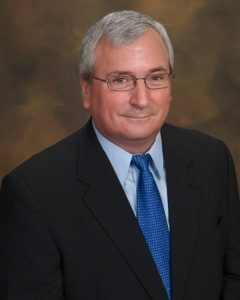 Before becoming a senior partner, Ray served as the Radioactive Materials and Explosives Safety and Compliance Officer for Schlumberger, the largest oilfield service company in the world. Ray directed and managed the compliance programs for these materials in all phases of the business cycle, from research and development, to manufacturing through operational use and obsolescence. In this job, he provided forecasts on developing regulations and was routinely entrusted with developing and implementing new Schlumberger programs to satisfy the evolving worldwide requirements following 9/11. Ray conducted complex internal investigations, managed government enforcement actions, and directed overall corporate compliance. He routinely served on industry committees and joint industry and government advisory panels. Before this, Ray was the explosives safety and compliance manager for Schlumberger‘s explosives research, testing and manufacturing facility, one of the largest shaped charge manufacturers in the world. He was also the manager of Schlumberger’s oilfield services on the North Slope of Alaska and a decorated Air Force Officer.